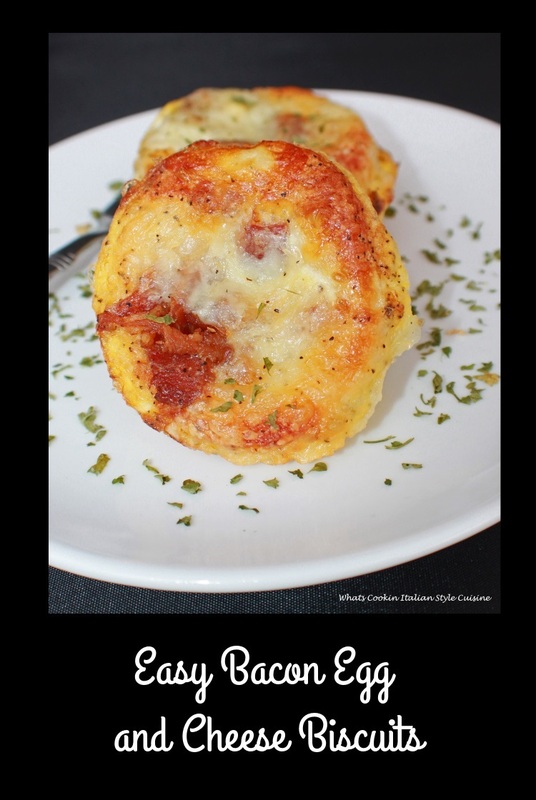 If we have a day trip or wanted to sleep in on the weekend, these simple bacon egg and cheese biscuits are the perfect breakfast. You can make them ahead of time and reheat them! They are portable to take with you in the car, to work or even a school lunch. Bacon egg and cheese biscuits are always a hit with my kids and husband. You can change them up with just asparagus spears or artichoke hearts for the vegetarian version! Easy Breakfast On The Go! I have made these using all kinds of dough, pie crust, refrigerator biscuits, pizza dough, whatever you have on hand works great! Just make sure you spray your cupcake tins really good before add the dough so they pop out easy. I like to use a ceramic or porcelain made cupcake tin. You can find them in my affiliate shop in Amazon where at the top of the page. They evenly cook and pop out easily. When my kids were little I made them all the time especially since they were so hard to get up in the morning. Most of the time they had to take breakfast on the bus with them. Their favorite is with bacon. You can however add cooked sausage or even pepperoni. I have done both. Both kids still always preferred the bacon. Easiest take along breakfast individual cupcakes! 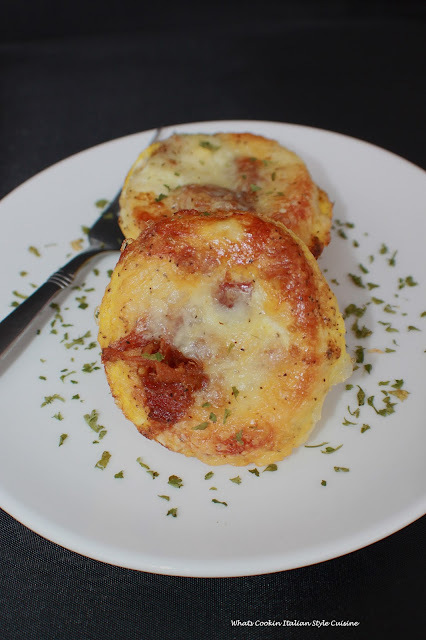 Working long hours, these Easy Bacon Egg and Cheese Biscuits are a portable easy to reheat almost quiche like cupcake that are the perfect solution to your busy day. My oldest son Chad, loves them with hot sauce on top! My husband likes country gravy. It's pretty obvious you can create them up to the way your family likes them. Sometimes when I am out of bacon, I use ham. My husband loves these with leftover pork or steak. If you want to really change things up use leftover steak, roast beef or any other kind of meats. I have also used leftover chicken and added hot sauce to it using cheddar cheese added to the cupcake tins instead of bacon. You will then have a buffalo chicken biscuit! Now that may have to be the next one you will all try. One other great suggestion for all my vegetarian lovers, use all vegetables. Some of any kinds I like are chopped fine: spinach, broccoli, escarole, asparagus, artichoke hearts, mushrooms, tomatoes or any other kinds you like in place of meat! Then for a lower calorie breakfast, omit the biscuit and use all egg whites. Spray your tins, add the vegetables, cheese you prefer then top it off with beaten egg whites. Bake as directed! So now that I gave you so many more suggestions, what's your favorite? Check out my quick video below to see how easy these are! Let's get cookin! for the vegetarian version add some asparagus or artichoke hearts on top for a gourmet veggie version! Oil spray the pans and preheat oven to 400 degrees. Line each tin with dough. Add the meat. Place a tablespoon of shredded cheese, or cheese slices in each tin. Add the egg mixture on top. Add whatever you like with the variations to you families taste. 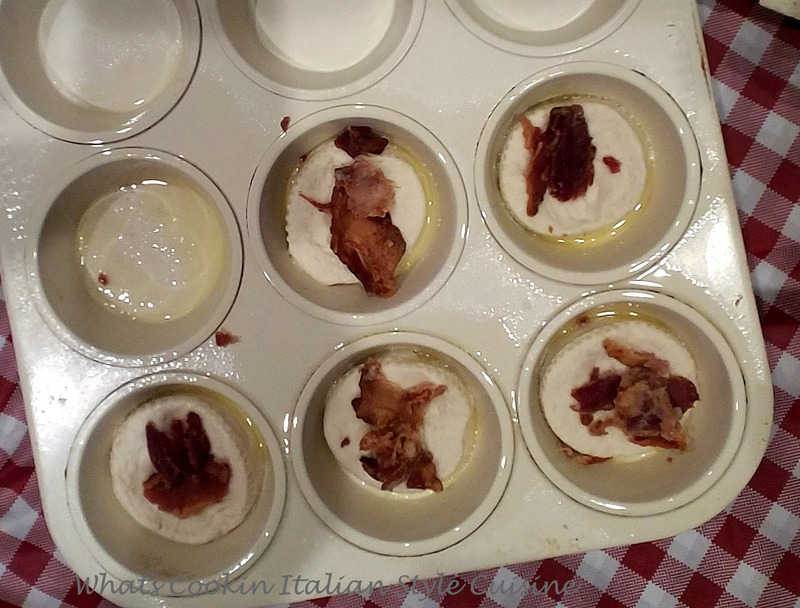 We used , bacon, egg and cheese this time pour egg over each cup. Bake at 400 degrees until the middle is set around 15 minutes or till browned and middles are set. Makes 10. Don't forget to try another one of my favorites below! Perfect for breakfast! Actually, I could eat one any time of the day! Have to try your way! They look so delicious and perfect for breakfast on the go! These sound terrific! 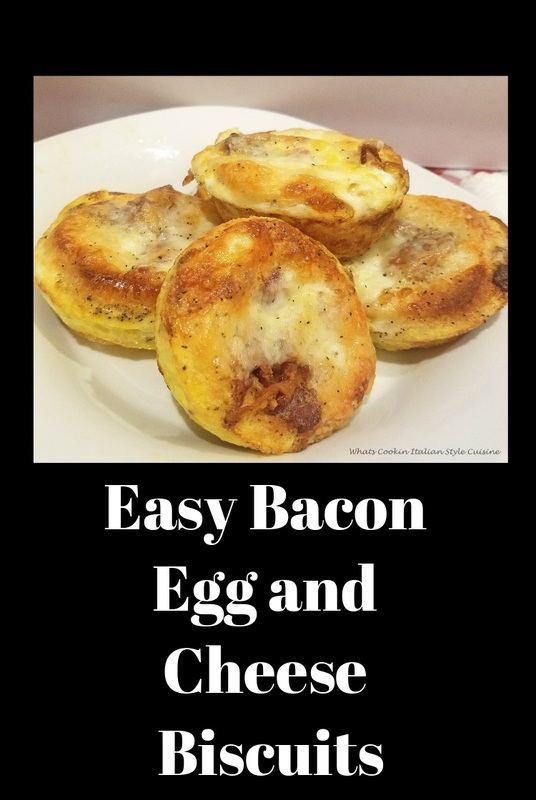 So easy and a fun breakfast treat!! What a hearty breakfast! And, I just love any recipe with lots of options. What a great breakfast option! Great to keep in the freezer too! Would you be able to freeze these? Thinking my kids would gobble these up if they just had to microwave them in the am. Oh goodness! These little biscuits sound delicious! These would be perfect for on the go breakfasts. Love this idea and saving for the weekend to make.